Atlassian Summit 2019, the Australian software developer's largest annual customer and partner conference, is currently running in Las Vegas. We are there with a large team to chat with customers, partners and friends, answer questions, give demonstrations, and to present our solutions, the Linchpin intranet suite and the top-rated draw.io diagramming app. One of the highlights with the greatest news value at each Summit is the keynote, which kicks off the second day of the conference. 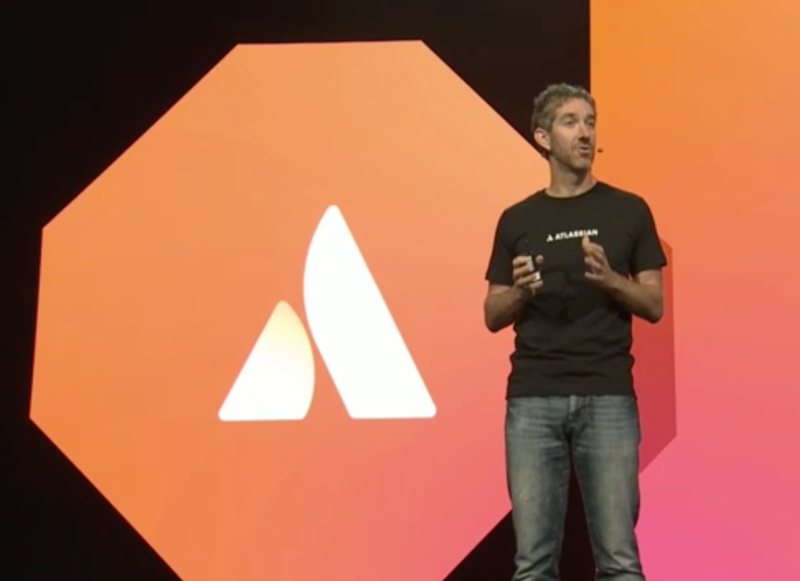 During the keynote, leading Atlassian employees present innovations, new features and future development directions. Plus this has traditionally been the platform for major roadmap and portfolio announcements. A short time ago the Summit 2019 keynote came to an end. We've summarized the most important news so you can catch up if you missed the live stream. Just a few weeks ago, Atlassian officially announced that it had acquired AgileCraft. This new acquisition is now in set in stone: AgileCraft has joined the Atlassian product family and been given a new name: Jira Align. Atlassian has positioned Jira Align as attractive for agile companies who want to scale Jira's capabilities. The solution provides software-supported scaled agile features at the enterprise level and supports SAFe, LeSS, Spotify and various other scaled agile frameworks. Jira Align also raises project visibility across the enterprise, regardless of how these projects are managed. Jira Service Desk now fully support integration with Amazon Web Services. Development team environments can be automatically set up and fully configured in AWS from Service Desk tickets. Atlassian has introduced a new product: Cloud Premium for Jira Software and Confluence. These versions offer several additional useful features like advanced roadmaps in Jira and advanced analytics in Confluence as well as a super administrator mode. Packages also include SLAs that guarantee 99.9% availability, premium support (24/7) and unlimited storage. This is exciting news for enterprise customers! Another bit of interesting news for (future) Cloud customers who want more flexibility: The URL of a cloud instance can now be changed as well as its name. Custom URLs are also supported. And a third announcement which will make some enterprise companies sit up and take notice: they may now see a migration on the horizon! Atlassian now officially offers support for Cloud instances with up to 10,000 users. The goal of "support for an unlimited number of users" has got one step closer. That's all for our notes from the product keynote. As soon as there is more information about this news and announcements, we will provide you with details here in the blog. Are you looking to introduce an Atlassian system? Would you like some help to evaluate your options and test various solutions, no strings attached? Simply contact us! We are an experienced Atlassian Platinum Solution Partner and would be delighted to support you with all aspects, from licensing, to planning and implementation, all the way through to using your Atlassian Software efficiently and productively.